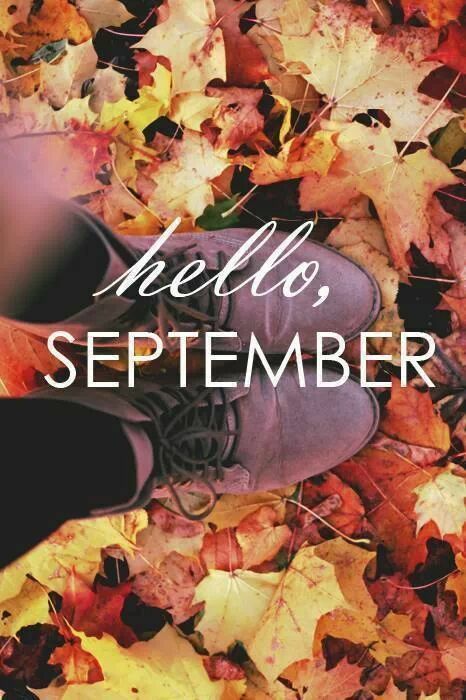 September-February it’s like the trees look a little bit taller, the coffee tastes a little bit better, weather gets a little cooler, my hair seems a little shiner, makeup looks slightly fresher.. its like life is just, AWESOME! Don’t even get my started on Christmas (or Christmas Eve, Halloween, Thanksgiving, My Birthday, basically everyone in my family’s birthday, Anniversary, Black Friday Moe’s Queso Day, Blah Blah Blah…you get it). It’s a happy time for me….. 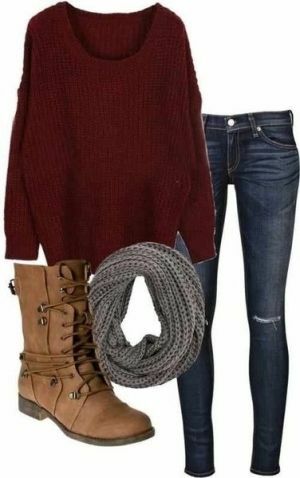 However, I love to think one of the greatest aspects of all for this time of year is the fashion; oh how I love Fall and Winter fashion. I am the perfect advocate for over-sized sweaters and black leggings for the season; if you throw in a scarf, you are looking at 80% of my next 4 month wardrobe. I have no shame, it is my favorite time of all! About 4 years ago I remember I spent the ENTIRE winter wearing sweatpants, zip-ups, and furry slipper boot things; in which, is completely fine…I definitely do it from time to time. But when I looked back on it, I seriously wasted a prime fashion opportunity! I mean, I like to think I slightly graduated to yoga pants instead of sweats but still…I could of been rocking some hot “cigarette” pants and a killer statement jacket while staying warm for the now low-temp and breezy weather! But no worries because I like to think I have accomplished the art of fall/winter shopping (…on a college budget) and know exactly what to look for and what is going to remain a staple for each year! Let’s get started… I will try to keep it as financially close to what I would spend for my wardrobe with my college budget..along with what to save and what to splurge on! Oh how I love fall & autumn colors, they’re absolutely one of my favorite parts of the season! When I think of fall, I think of warm and amber colors, which I love! But I also use this time of year to really bring in the jewel tone colors as solid accents, like… emerald green, ruby red, vibrant magenta, shimmering gold, rich garnet, mustard yellow… all beautiful to use as an accent or statement piece. Jewel colors are such rich and royal hues that they make an outfit come alive in the sometimes dingy weather!I generally will wear these colors as a scarf, flats, cardigan (oh how I love cardigans…), jewelry, etc. One of my FAVORITE colors for fall is that mustard yellow! Try looking in Target or World Market for a similar scarf! YES to these emerald green pants, and YES to that bag! ugh! But I literally found almost the same pants from H&M for $10, I want them! You know, there is something to be said about a good quality over-sized sweater or tailored cardigan that makes you feel all cozy for fall. Most of my friends laugh because when I go shopping, I generally will either pick up all black items or every color cardigan; I have so many! But, they’re perfect! Once fall starts coming around, the cardigans come out to play, ha. Even an over-sized sweater is making its way into my wardrobe and I must say, I love it! Grab a pair of leggings or skinnys and throw on a sweater, and you’re ready to go! It is certainly an easy way to grab and go while still look super cute and trendy for fall; ha it is almost like getting away with wearing pajamas! 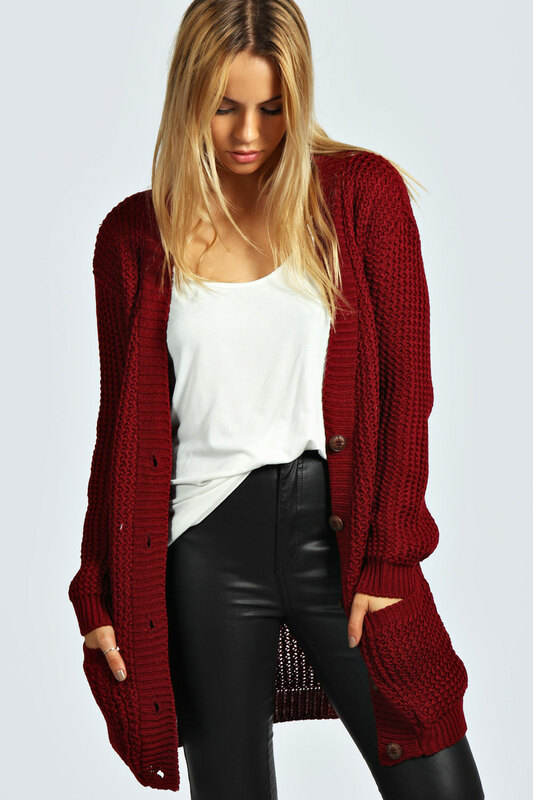 Yes to cardigan love! All of mine are from Forever21! You can find so many different color and quality options. Obviously during the fall season, the weather will change; bring on the cooler forecasts! One thing is for sure, you are more than likely going to need a jacket. Tricky thing about fall is, its a little to cool for just a light sweater but a little too warm for a heavy winter jacket! So how do we accommodate these temperatures? I say you can never go wrong with a light moto jacket or some kind of military/parka or trench coat. I personally always lean towards a moto style jacket because of my personal tastes but it is generally up to you! You can always find these kinds of jackets or coats at H&M, Forever 21, or even Target…I would check H&M first though if you can. If you had to spend the money one item, I say go for the coat because these are meant to last you a long time and they are essentially the first thing someone will look at! Keep an eye out for after the season at the department stores like, JCPenny’s or Dillards… you will always find a GREAT coat for half the price on sale for next year. Plaids, Stripes, & Denim..OH MY! 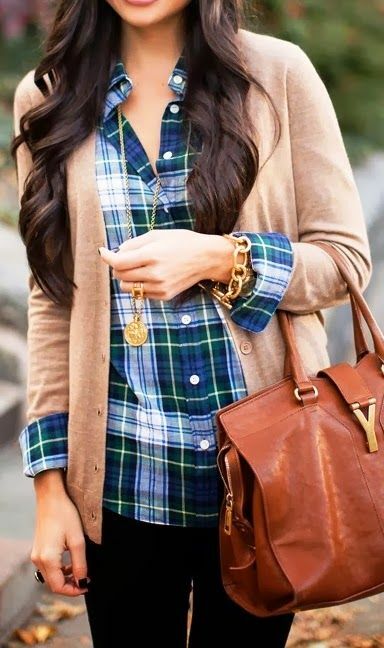 Plaids, stripes, and denim are a great way to make an outfit dynamic! Whether you wear it as is, unbutton it to make it a jacket, or tie it around your waist, it is always a great staple to wear during the fall. who ever this model is…she’s killin it! 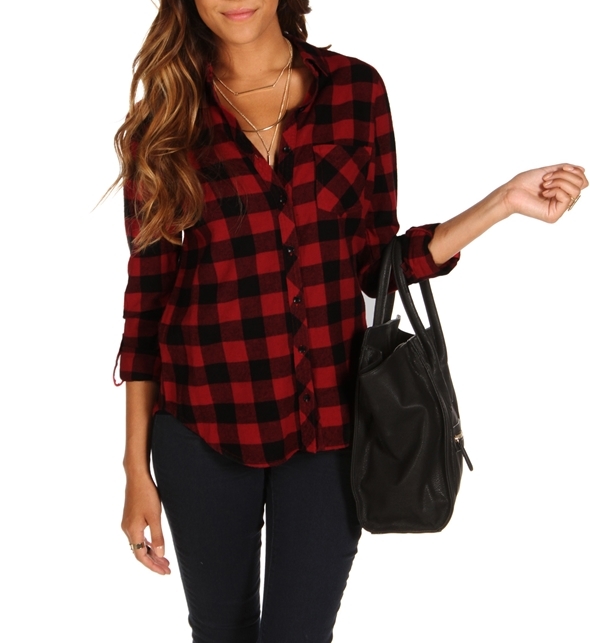 Denim shirt with tight black skinnys or leggings are a simple combo to always look put together. I would add a scarf and some boots and you’re good to go! I bought my perfect denim shirt from the GAP. Layering during the fall and winter months is like the fitting of a perfect puzzle piece, it just makes sense. Layering seems complicated but it is as easy as finding the proper base then adding pieces to enhance the outfit. This could be adding a cardigan and scarf, or flannel with leather jacket, or a skirt with tights and boots; there are a plethora of endless options to choose from! Keep it simple and trendy, don’t add more then what is needed! I actually think this is kind of much but I’m obsessed with the colors and the shirt patterns. Black on Black is OK! I don’t care what anyone says, black on black is chic, cool, sophisticated, and strong. WERK. LOVE button-down sheer black shirts! Bought mine at http://www.pacsun.com! Black is the perfect blank canvas, you could pair it with neutrals or color. And that’s it! These tips and tricks are always going to stay classic no matter what the newest trend is! Simple, now bring on the FALL!